At the Field Club meeting, on 19th October 2017, Julian Jacobson gave me a sample of some tiny insects that he had collected from the ceiling of a room in his house at Inverpark, Lochinver (NC0922). When I had a look at them later under a low-power microscope, I could discern two pairs of transparent wings with small dark markings spaced out around their edges. Their relatively large heads bore conspicuous eyes at the sides and in one case fairly long antennae. The abdomens were shrivelled up, but the wings were about 2.5mm long. I was, initially, quite unable to place them in an insect order, so took a photograph and sent it off to entomologist friend Stephen Moran near Inverness. Within half an hour I had his answer. They were psocids, otherwise known as barklice or booklice (order Psocoptera), a group of small, fragile insects that can be pests of stored food products, but also occur, sometimes in great numbers, on shrubs and trees and amongst leaf litter. Stephen was even able to narrow the identity of these specimens down to one of two closely related species, Eptosocus briggsi or petersi, usually found out-of-doors, but which might have been seeking somewhere warm to overwinter. However, Julian thought that the source in his house could have been some willow prunings from elsewhere in Inverpark, which he was drying for kindling. He had enclosed a sample with the insects, on which I did, indeed, find a couple more barklice. Intriguingly, this quarter-round of willow threw up another small mystery. 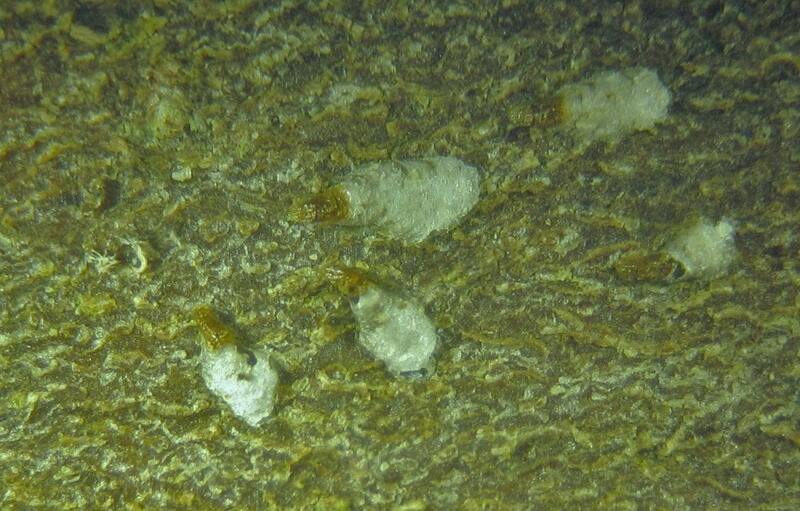 Scattered over its bark were whitish objects, about 1.5mm long, looking a bit like tiny oyster shells, with narrower brownish scales at one end. 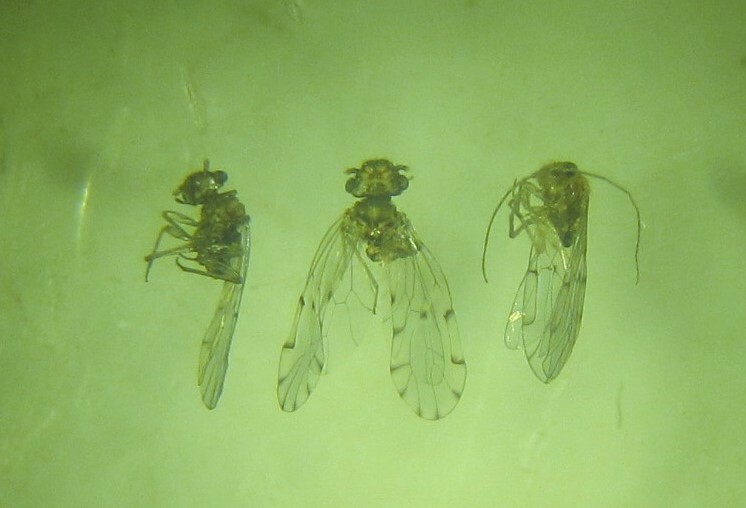 These I did recognise, in general terms, as the protective coverings of wingless female scale insects, relatives of whiteflies, aphids and the mealy bugs that sometimes infest potted plants, all of them sap-suckers (order Homoptera). I sent another photograph off to Stephen, and within a couple of minutes he again came up with a name, Chionaspis salicis, whose preferred habitat, predictably, is the bark of willows (Salix species). So, puzzles solved, thanks to the combined marvels of microscopy, digital photography, the Internet and a good friend with an interest in natural history, especially insects, extending over more than fifty years. And, probably, the first records from Assynt of these two groups of tiny beasties.